Janis Joplin had many lovers, men and women, in her short life. During her all-too-brief life she packed a punch musically, vocally, and firmly embedded herself in the pages of musical history for generations. I grew up listening to her, and my childhood friends and I would belt out teenage renditions of “Piece of My Heart” in drinking sessions, as though we were singing about our own. Janis, as we affectionately called her, was an inspiration. For young girls like us, she exuded feminist strength, yet we knew she was fragile and insecure. This appealed to young women forging our own ideas of feminine strength and dealing with the insecurities of growing up fast. Many years later and, my love of Janis never fading, I read by chance an interview with Kris Kristofferson. 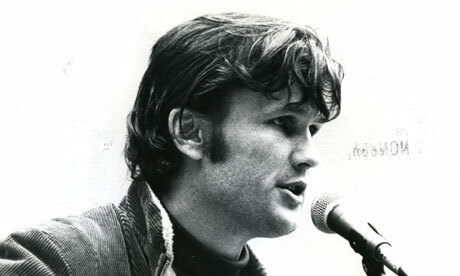 Kristofferson was, along with Fred Foster, the songwriter of ‘Me and Bobby McGee’. He had performed it himself and would continue to do so, though the original recording was by Roger Miller (poor fella was really out shined there). Of course, Kris and Janis were lovers, however it was not an intentional matchmaking of songwriter and singer which led to Janis recording ‘Me and Bobby McGee’ but something more fluid; the dreamer in me calls it ‘fate’. It goes that Kristofferson had played the song for Janis, and she went on to record it without his knowledge. So the song which was originally about a girl called Bobby became a boy (though I like to leave that detail out and think Janis is singing about the same Bobby as Kris), and a little song about loving and leaving love on the road became the ‘Me and Bobby McGee’ we all now know. Kristofferson only found out about the version, which was to be released posthumously, after Janis tragically died in 1970. It was a short, brief and powerful love affair which resulted in one of the most enduring and inspired creative collaborations in music, and a beautiful story of love, loss and road tripping. To me, ‘Me and Bobby McGee’ will always make me dream of freedom.